Don’t open your eyes, but if you have to, continue reading this article before putting your five layers of blindfolds back on. 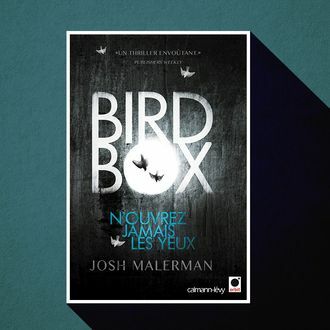 Josh Malerman, the author of Bird Box (the 2012 novel that spurred a very meme-orable Netflix film) has confirmed that he has written a sequel. In an interview with Esquire, Malerman said Malorie, which will be released on October 1, will take place eight years after the events of the first book. “In the time between Bird Box coming out and the time since I’ve been writing Malorie, I’ve been asked a ton of times: people want to know what happened with Boy and Girl. But as much as I care about Boy and Girl, this isn’t their story,” Malerman said. “The Bird Box world is Malorie’s story, and I wanted to know more about her. I wanted to get to know her even better.” Netflix, Sandra Bullock — your destiny awaits again!